We know that some readers live in places where it’s summer all year long, so the months of June, July and August are greeted with a yawn. Not here in New England, where those three months receive a royal welcome. We can finally wear our Rovers North t-shirts without an extra layer on top— well, except at night, of course. Spring in New England exists more as a concept than a reality; the Easter Bunny wears a snowmobile suit during deliveries and you can brush snow off your car in Northern New England in May. You can imagine my delight to wallow in the warmth of the South, a warmth that rises not just out of the climate, but out of the culture. 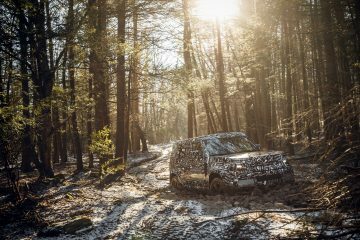 Somewhere in the South unsmiling and unpleasant people reside, but they didn’t show up at Land Rover events. 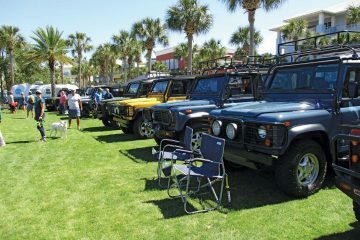 April opened with the Sand Rover Rally in the Florida Panhandle area of Fort Walton Beach. 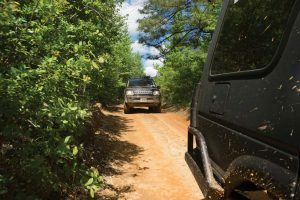 Thanks to the efforts of organizer Mike Ragsdale and the members of the Gulf Coast Land Rover Club, this entertaining event continued to draw enthusiasts from Alabama, Georgia and Florida. We think you’ll really enjoy the coverage of this year’s edition. 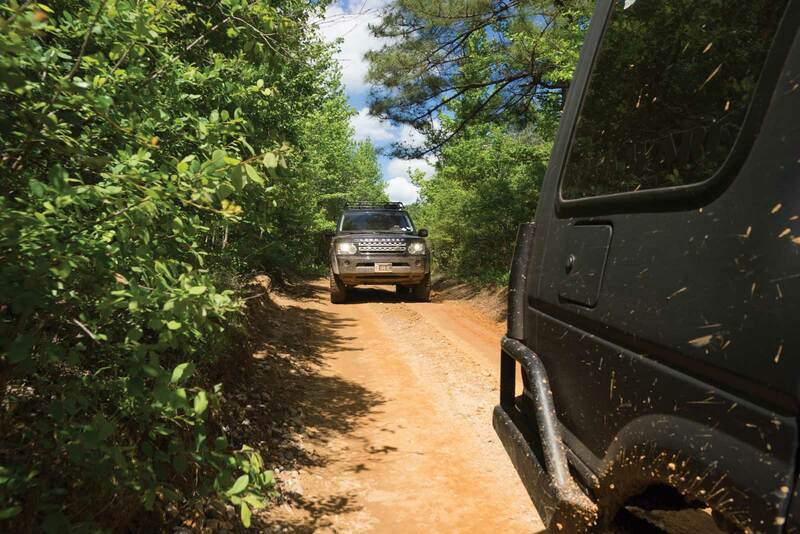 The King Ranch-sized Land Rover event is, naturally, in Texas, where the Texas Rovers organize SCARR every year. Over 100 Land Rovers? 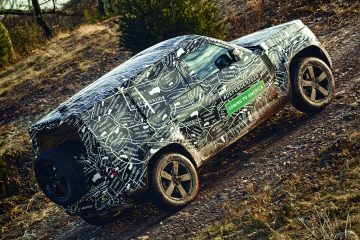 Brilliant selection of off-road challenges? A women’s only trail ride? Absolutely wondrous selection of Land Rovers from stock to extreme? Hundreds of enthusiasts from toddlers to youngsters to teens to millennials to Gen X, Y, and Boomers? Check, check, check, check, check and check. 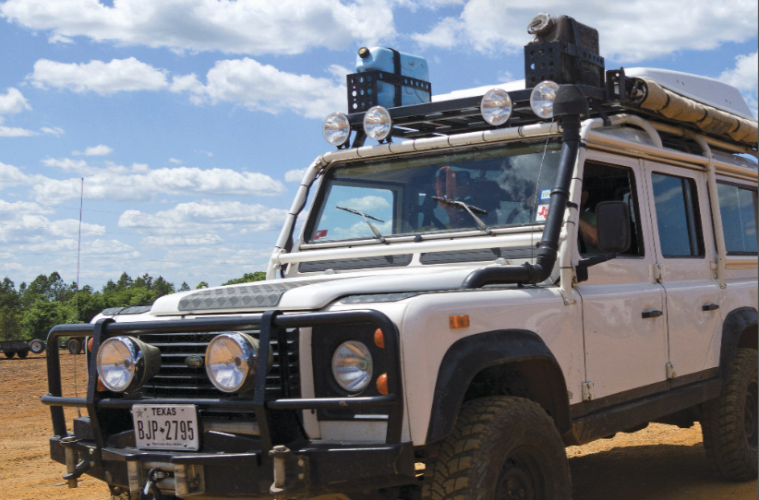 We enlisted the help of Alan Avery of North Texas British to as- sist you in understanding the most effective ways to replace suspen- sion bushings in your coil sprung Land Rover. 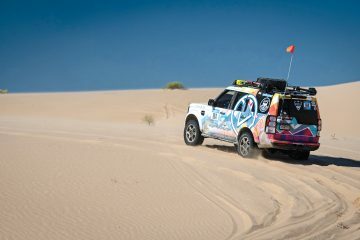 So in addition to good spirits and skilled off-roading, there’s a lot of technical talent in the Lone Star state, too. 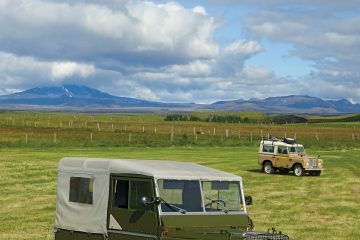 If you want to start a bar debate, ask a Land Rover enthusiast about their favorite Defender configuration. Or, you could do what surfing expeditioner Marty Marcinczyk did, which was to head to Central America and modify your Defender to your meet your differ- ent needs at different times. Marty shares his experiences with us in this issue. 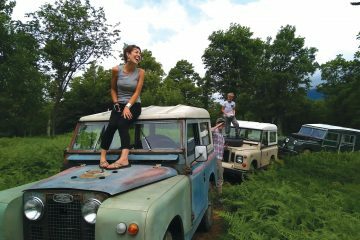 If you want to share your Land Rover experiences with other enthusiasts here, don’t hesitate to let us know at www.roversmagazine.com. 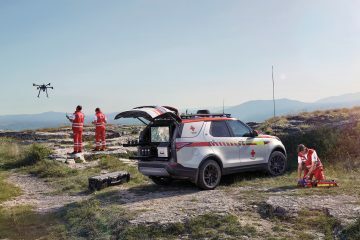 Rovers North appreciates the fact you let us provide you with the parts, technical support and service advice for your Land Rover and for you, whether for work or play, on or off road, around the corner or around the world. 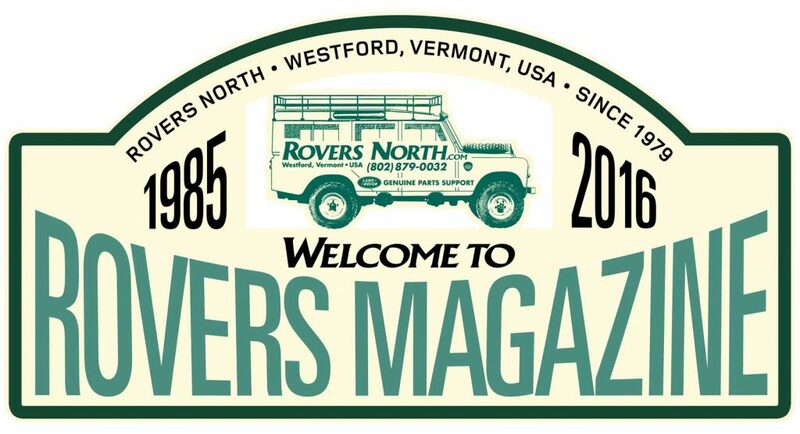 Thank you for letting Rovers North be a part of your Land Rover life. 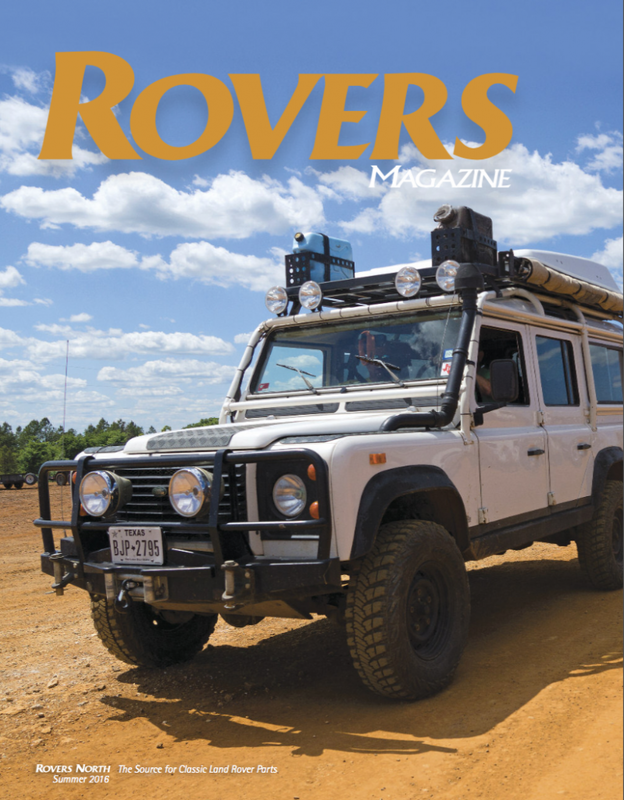 Rovers Magazine is automatically sent our to all of our current customers. We’re happy to send you a complimentary copy. Feel free to sign up on our “Complimentary Copy” page.